Watching Dana Perino take her well-deserved lumps on Hannity on Tuesday night was one of the few highlights of my day. Dana Perino and the rest of the DC-insider crowd are approximately what the rest of us out here in “fly-over country” refer to as RINOs. They serve the interests of a viewpoint that seeks to avoid conflict and confrontation with no boat-rocking while you [quietly]pay the bills. In short, she serves the Washington DC crowd that isn’t defined by an official party, but instead the all-consuming grasping and groping for power that is the Beltway Axis. Perino got caught by Hannity when he asked her about her earlier reaction to Iowa Tea Party organizer, Ryan Rhodes, who confronted Obama on Monday. Perino didn’t like it, thinking it disrespectful to the office of the president that some little person(a.k.a. “Hobbit”) from out in Iowa would dare to challenge the President. More, she actually defended Biden, who had called the Tea Party “terrorists” or at least agreed with that sentiment as expressed by Congressman Doyle. While a Republican in name, only the party of Washington DC enjoys her loyalties. Dana Perino, the Republican? Yes, that one. The former Bush Press Secretary took Obama and Biden’s side in this instance against an average guy who is an Iowa Tea Party organizer. Why would she do that? Well, you tend to speak kindly of those who’ve appointed you to the Broadcasting Board of Governors. You didn’t know that? Most people don’t. Yes, she’s a big government Republican. Are you shocked yet? She also works for a public relations firm, Burson-Marsteller, where she serves as a “Chief Issues Counselor,” and she has acted as Karl Rove’s family spokesperson, informing the media about Rove’s divorce in 2009. Knowing a bit more about Perino, it’s easier to understand how she’s part of the Washington Insider crowd. It’s small wonder that she’s not a big fan of Tea Party folks. The Tea Party stands opposed to the whole stinking system in which she is thoroughly entangled. When some assert that there’s not a dime’s worth of difference between Republicans and Democrats, Dana Perino is of the sort whose behavior tends to substantiate their point. The Republicans Dana Perino represents are the sort who think Lisa Murkowski is “a strong conservative,” as she herself told Neil Cavuto. She’s also the kind of Republican who doesn’t have any intention of addressing illegal immigration, and attacks those who take a strong stance against illegal immigration. They don’t experience the problems, so it’s easy for them to sit inside their insular DC bubble and tell the rest of us how to live, and chastise us for what we ought to be willing to accept. Then you hear Perino criticize Sarah Palin as being inauthentic? The irony is amazing, and I’m certain Perino knows it. If you wonder why somebody like Perino could seem to change sides so easily, it’s because you’ve misunderstood on whose side they really stand. They stand on the side of an establishment in Washington that loves only its own interests. They’re accustomed to being king-makers, and finishing well out of the running simply isn’t their preferred cup of tea. These are people who trade on the power of their insider connections, and that’s all they have to offer. If you ask me, this is the larger part of what’s wrong with the Republican party. People like Perino don’t stand for much of anything unless it’s to advance their own agendas to the detriment and the expense of the American people. 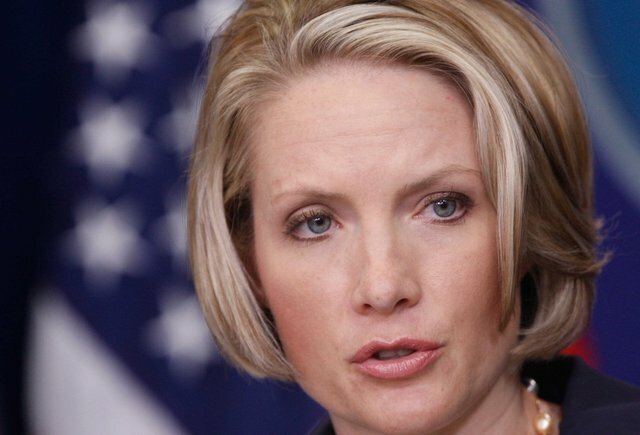 It’s time for a serious reform in the party’s structure, during which Perino and others of her ilk must be unmasked. Along the way, it will result in the restoration of the nation. When we go to the polls in 2012, for the primaries and in the general election, I sincerely hope it is part of our goal to show people like Perino the door. The problem is that when it comes to Washington DC, Perino and her crowd are the home-team, and we’re just visitors, so if we send in a candidate they did not want, you can expect them to treat that President like an occupying foreigner. They would, in such a situation, act exactly like insurgents in Iraq, seeking to undermine and sabotage such a president every step of the way. That’s part of why they wish to defeat Palin. They’ve seen her clean up Alaska, and they don’t want a repeat in Washington. That’s their turf, and they intend to keep it that way. Senate Majority Leader Harry Reid, (D-Nevada,) thinks that it’s inevitable that the Tea Party movement will fade away. Reid believes that the Tea Party is a result of the poor economic conditions prevailing in the country at large, and having survived a strong challenge in 2010, he’s inclined to believe with most of a fresh 6-year term in front of him, it’s going to be smooth sailing. Not satisfied to impugn the Tea Party as a flash-in-the-pan outfit, Reid then went on to tell the Las Vegas Review-Journal that the Tea Party would lose seats in Congress. He spent a much of the interview attacking Republicans in Congress, and continued the Democrat’s narrative that the Republicans are to blame for the downgrade. Senator Reid has never thought much of the Tea Party, and his dismissive attitude suggests he’s likely to continue to exhibit contempt for people who believe big government has simply grown much too large. As the Senate Majority Leader, he’s and President Obama were primarily responsible for killing the Cut, Cap, and Balance Bill sent to the Senate from the House. It was also the only bill rated by S&P as sufficient to stave off a downgrade. It seems when big spenders like Reid get caught between their well-heeled constituencies and reality, they’ll side with the lobbyists every time. On the 1st of September, if you see this logo (at left) going past on the back of a van, you may wish to follow it. It will be on it’s way from Southeast Texas to a special event in Iowa. 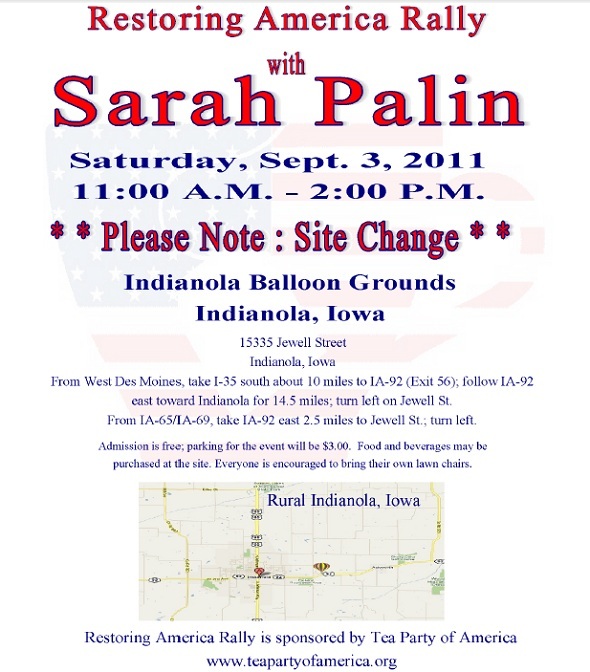 Of the all of good reasons to set out for Waukee, Iowa, few could be better than to see Governor Sarah Palin deliver the keynote address at the “Restoring America Rally” hosted by the Tea Party of America, set for September 3rd. It’s likely to be a very large event, but so far from home, you might not think Texans would bother to make the long trip. 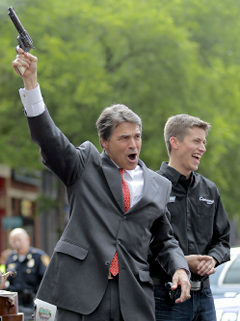 Of course, if you’re not a Texan you might not know our gritty determination. 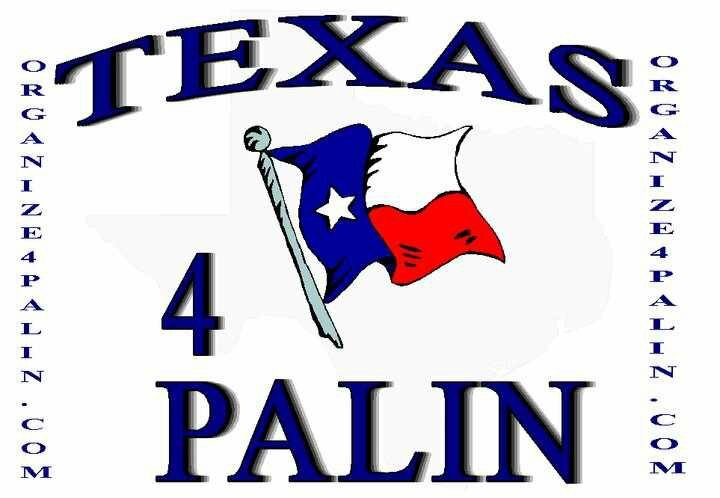 One group from the Southeast Region of TexasO4Palin is determined to get there on time, and is putting together a caravan. The talking points prevailing in the wake of the debt ceiling debacle would have you believe that this deal had been a compromise, and the best for which conservatives and Tea Party ought to have hoped possible. At the end of the debates lies a truth concealed by all the fluff: There was no compromise in this debate; one side prevailed, but it wasn’t the Tea Party. 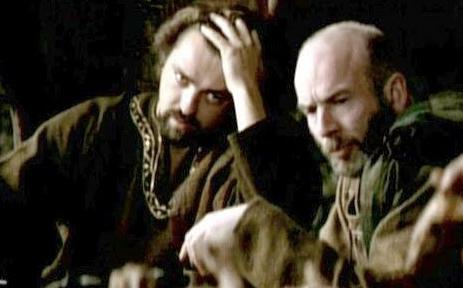 In a betrayal reminiscent of the movie Braveheart, when the Scottish nobility deserted the field, abandoning William Wallace to defeat, Republican leaders likewise abandoned the Tea Party, not for compromise, but in infamy by betrayal and surrender for the sake of their own hides. Willing to risk nothing, the Republican establishment has become an increasingly intractable part of the Beltway Axis. Like the nobles in the movie, they’re taking their special privileges and carve-outs in exchange for their complicity and silence. For an outcome to be considered a compromise implies that both parties to the exchange ought to have obtained an equal measure of consideration for their parts, in trade for a yielding of approximately equal value. There can be no compromise where one’s position isn’t ultimately advanced, and any examination of the much-ballyhooed Budget Control Act reveals that for their part, the Republicans accepted complete capitulation with a few face-saving bones thrown their way. None should be so foolish as to accept these bones for anything other than an insult, and the injury done by this act will exceed by many times the few strings of rancid gristle left to the Tea Party are more cause for anger and despair than for celebration. This is what the Republican ‘nobles’ quit the fight to achieve by way of so-called ‘compromise’? Why bother? Why not simply slap the shackles and chains upon us themselves? For all intents and purposes, that is precisely what they have done, because this new law does nothing to immediately begin the process of changing our course to something closer to sustainability. This bill does nothing to preserve the value of the dollar or the credit-worthiness of our government. This bill is a disaster unmitigated by the bare bones we’re being fed as scrap from the establishment’s table. Those in the Republican leadership in DC, who call this bill a ‘compromise,’ are simply concealing what it really is: Complete betrayal, and unconditional surrender. 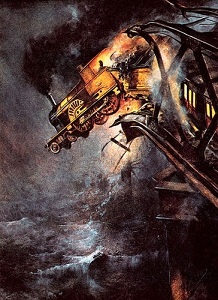 Now, there are those conservatives who are still looking for some scrap upon which to rest the premise that this ‘compromise’ has been anything but a disaster, but the proof will be in the final tally of its effects, and from any angle I view it, the alleged benefits are more smoke and mirrors, and the detriments are vast and self-defeating. There can be no compromise on first principles without an effective surrender. In this case, what the Republican leadership has accomplished is to deliver the Tea Party and conservatives to the adversary. For this monstrous betrayal, what have establishment Republicans received? For all intents and purposes, even they have received nothing, except some temporary restraints in the vile language ordinarily hurled against them. The target of that defamation is now almost solely the Tea Party, or Sarah Palin. Compromise offers a potential good, when that’s what it is, but when it’s mere surrender dressed up as ‘pragmatism,’ you had better stand opposed to it. In this entire miserable battle, only one politician of national prominence continued to rail against these so-called ‘compromises’, and she was berated by Republican operatives and leftists in the media for her trouble. She warned and cajoled and prompted and yet, at the end of the day, they ignored her, and you. Sarah Palin stood in as William Wallace in this debate, and the turncoats in the GOP did their level best to deliver her to Edward the Longshanks. The good news is that we and she survived the engagement, but a new battle is looming. Don’t leave her on the field as she’s the only prospective presidential candidate who’s stepped onto the field without reservation. She’s defended your honor and your good name. It’s time to return the favor. It’s time to begin to rally to those who dare to put their names at risk, because such people are few, and we know who they are, so if we believe in all that we claim, it’s long past time that we at least stand up to say so. 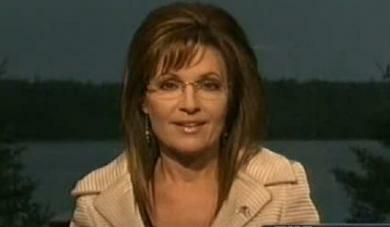 Tuesday night on Hannity, former Alaska Governor Sarah Palin exhibited some of that fire. It’s sure to give the existing Republican presidential field no shortage of heartburn. She was strongly combative in the face of ridiculous slurs, and not merely those leveled at her, but also those aimed at Tea Party patriots and even talk radio hosts. Her message was clear and concise: “Enough is enough!” Indeed, her words reverberated with with passion for this fight. Sarah Palin seems intent upon taking up the fight against the entrenched establishment with a vigor that no other prospect of national political prominence is willing to do. This facet of Governor Palin’s attitude is what Americans have been hoping to see from any of the other presidential prospects in the GOP. Instead, what they’ve seen is an increasingly invisible and tepid lot of weakly-mumbled remarks in lukewarm defense of the Tea Party, and conservatism. This is the most significant distinction between Sarah Palin’s electability and that of the other Republican candidates: Governor Palin has the unique capability to energize crowds, move people to rally with her, and focus their combined strength on virtually any cultural and political issue. Combined with her commitment to firmly held principles, what the fire in her belly provides is the one thing the GOP needs in a candidate, perhaps more desperately than any other trait: Sarah Palin has the unrepentant will to stand up and join in the fight. It isn’t about simple sloganeering. Governor Palin seems willing to leave slogans to others, but what her passion indicates is a sincere commitment to the restoration of the republic. Why wouldn’t she be passionate? In most every respect, she has much more in common with the average American than any of the other republicans in a position to seek the presidency. She has every bit as much to lose from the continuation of the current establishment paradigm as any of us. She’s an entrepreneur who sees the effects of the growing government sector at the expense of the private sector. Like so many of us, as a parent, and nowadays, a grandparent, she has a deep personal investment in the future of the country, and it resounds in the tone of her voice as she tells her audience that we can’t afford any more of Obama’s disastrous economic policies. She isn’t just spouting talking points. She means it. More importantly, perhaps, it seems many Americans recognize her commitment, her passion, and her sincerity in confronting the crises with which the country is faced. One fairly reliable gauge I’ve found for evaluating candidates is in the person of my wife. She’s had an uncanny ability to pick who will win or lose, and she is consistently adept at sizing up candidates. In 1992, she took one look at Bill Clinton and said: “Oh, wonderful, we’re going to have a used-car salesman for President.” In 1996, she took one look at the newly-minted Republican nominee, and said: “Just get yourself ready for four more years of Bubba-talk and used cars.” She’s successfully picked the winner in each subsequent election, mostly on the basis of her relative appraisals of the candidates. Somehow, she just knows, and while she may not like what her judgments tell her, she’s been remarkably straightforward in stating them. In 2008, she looked at John McCain, shook her head, and asked: “Why did they nominate him?” Adding more, she nodded her head at the speaker, Sarah Palin, and said: “They could have saved a lot of time and trouble, and four years of pain if they would have just nominated her, instead.” After a moment more of the governor speaking she looked at me and said: “Don’t worry, she’ll be back.” I’ve asked her to explain it to me, but she says it’s a ‘woman thing.’ Perplexed as ever when that is offered as the sole explanation, I shrug hopelessly and go on to the things I can measure. It’s against this back-drop that on Tuesday night, I watched the Hannity interview alone, but I was curious to be able to watch the reaction of a true political skeptic. Mrs. America walked into the room, and I rewound the DVR to replay it for her, as I settled into a position from which I could watch my wife without making it obvious, and thereby biasing my ‘study.’ Having spent more than two decades as the perpetual cause of most of her more severe facial expressions, I knew that by watching Mrs. America’s face for every raised eyebrow, every tiny widening of eyes, and every re-forming of the shape of her mouth, I would be able to gauge her reaction as a sort of study in the effects Governor Palin might have on an agreeable but not altogether ‘sold‘ viewers. After forty-six years, I may not know the first thing about ‘women,’ but I know how to read the nuances of the mood of exactly one woman. When she started to speak, Hannity having posed the question about Biden and the others calling Tea Party Americans ‘terrorists,’ I watched a growing look of inquiring expectancy. She was waiting for something. When Governor Palin came out swinging, taking the leftists to task for this latest vile nonsense, I saw the set of a jaw tightening and the barely perceptible nod, and as Mrs. Palin went on, Mrs. America followed. When Mrs. Palin said “I’m going to stand up…” I saw a brightening of the eyes, and a slight smile begin to take shape from the previously indifferent pose of Mrs. America’s lips. Every time and in every way she addressed the propensity of Obama to recklessly spend more money, I watched a growing resolve in the set of my wife’s jaw. When Hannity prepared to go to commercials, he had to make the obligatory inquiry about her plans for 2012, but pressed for time, he tried to suggest one, and Sarah Palin beamed and laughed and that’s when I saw it: My wife, the hardened cynic, with resolute indifference to most frivolous remarks, had leaned back slightly in her seat, and she had begun to smile with Sarah Palin. The beauty of DVR technology is that we didn’t need to wait through those commercials. Advancing it to the resumption of the interview, Mrs. America, at first sitting forward again, now leaned back against the sofa as if settling in. When Hannity asked about the notion of ‘compromise,’ here too, my wife leaned forward a bit, as if waiting to hear the answer that would tell the tale of the tape. As Governor Palin described the need to stand firm, citing Ronald Reagan’s example, I watched something interesting develop on the face of Mrs. America, and it was an expression with which I’m naturally less familiar: Approval. Nodding in agreement, I watched my wife’s hand tighten on the remote, and lightly pound it into the top of her thigh. It was an exclamation point in time with the Governor’s remarks on Cut, Cap, and Balance. The drumbeat of those words were matched in time by Mrs. America’s. When Governor Palin analogized her position to that of Hannity, Levin, and Limbaugh, Sean asked if she really thought any of the three could be elected to office. Sarah Palin’s answer was a laugh, and as she said “Well, I do, but I’m one of those ‘terrorists’…” My wife had begun to smile again, and now laughed openly, again with Mrs. Palin. When I saw that, what it told me is that the remainder of the Republican field had better prepare themselves for a serious primary battle. If Mrs. America’s reactions to Governor Palin are any yardstick by which to measure her presidential prospects, my wife’s little statement to me as she passed back the remote may be the indication: “She’ll do just fine.” After twenty-three years of marriage and five presidential campaign seasons together, that sort of matter-of-fact appraisal is as much as I will get, and what it tells me is only: She knows.